The Maserati Quattroporte needs no introduction. It is, by far, one the most good looking luxury sedans in the world and its for this very reason that the car has carved out a distinct identity. 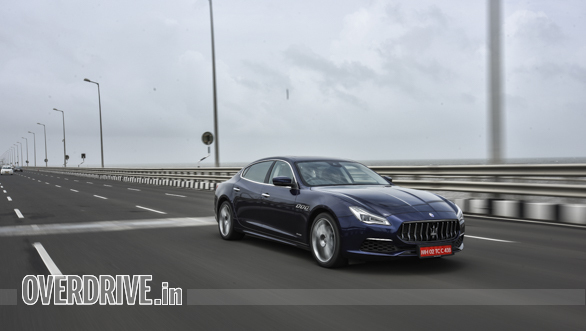 The last time we sampled the Quattroporte in India, it was the 2016 GTS variant that had a fire-breathing, twin-turbo V8 petrol nestled under its hood. Needless to say, we were quite blown away. 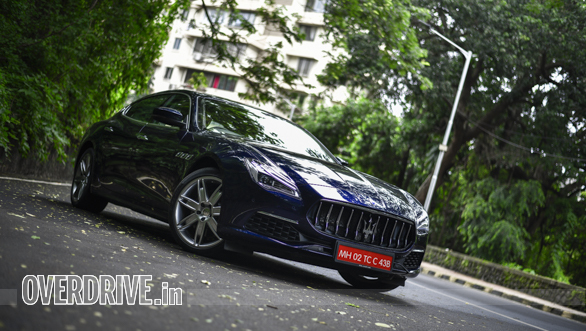 This year, the Quattroporte line received a mild facelift and this time around we are driving the GranLusso variant with a V6 diesel engine. Does it still offer that Maserati driving experience? 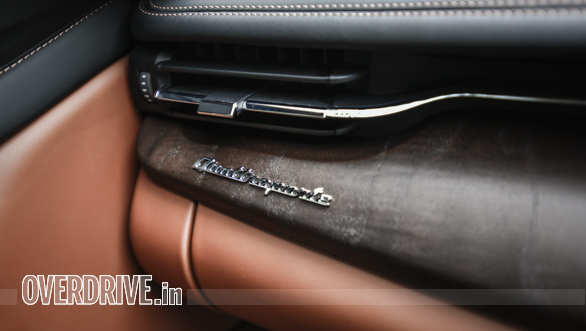 Before we delve into finding that out, let's step back and soak in the sight of the Quattroporte. I actually feel that words fall short of describing the way the car looks. It really is that gorgeous! Take the front end, for instance. 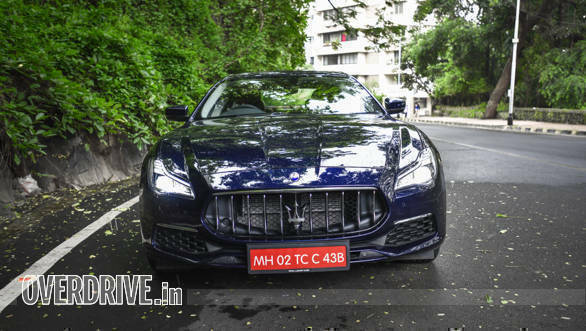 The massive, ten-slat grille, with the Maserati trident adorning its centre and the sleek new, all-LED headlamps lend the Quattroporte a classy face with just the right amount of aggression. The 2018 model also gets a touch of chrome over the air dams that complements the grille. 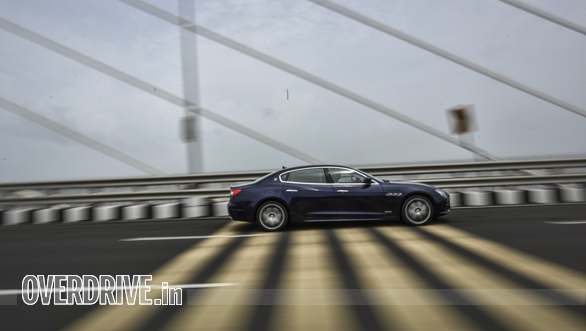 With its low-slung stance, long bonnet and the prominent boot lip, the Quattroporte's silhouette is equally arresting. 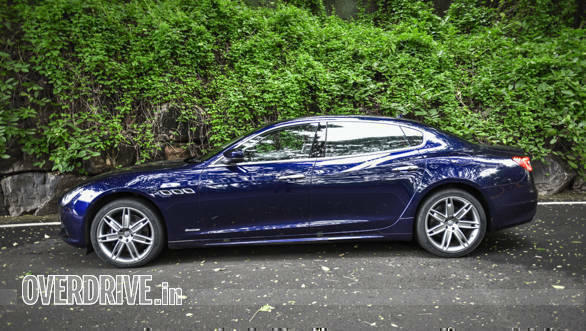 The front fender has Maserati's signature triple vents and the rear haunches are simply a sight to behold. The rear end is not as dramatic but it surely looks elegant, an effect achieved thanks to the re-profiled bumper. Driving the car around town, I lost count of the number of people who literally stopped in their tracks, slackjawed at spotting the Quattroporte. 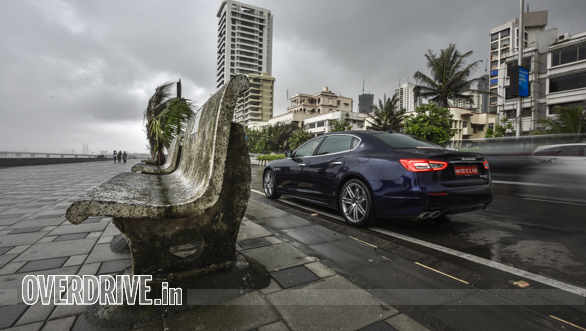 Mumbai has no dearth of luxury cars, so for the Maserati to elicit such reactions speaks volumes about how special the Quattroporte looks. The cabin is as elegant and sophisticated as the exterior. There's generous use of leather and wood that's tastefully put together. The front seats, are plush and supportive while those who like to be chauffered will find the rear seats to be extremely comfortable. There's acres of legroom too, enough to rival an S-Class. 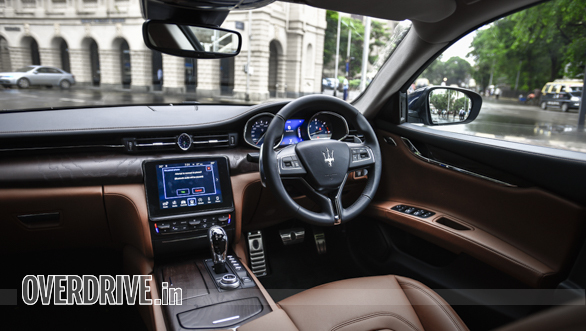 I particularly like the chrome line that runs across the dashboard, the wood panel below the aircon vents and the elegant analog watch in the center. A new addition, this year is the 8.4-inch, touch screen infotainment system with Apple CarPlay and Android Auto. The graphics are crisp and the screen is quick to respond to touch, as expected in a luxury saloon. The cabin, however, is lacking in some of the gizmos you'd see in other German luxury sedans, but it's certainly not a deal breaker. Wait, what! A diesel engine in a car that looks fast, even when stationary? I had my apprehensions, but as it turned out, this oil burner is far from unexciting. Mated to an 8-speed transmission the 3-litre V6 puts out 275PS at 4,000rpm and 600Nm, between 2,000 rpm to 2,600 rpm. The engine is refined across the rev range while power delivery is smooth and linear. 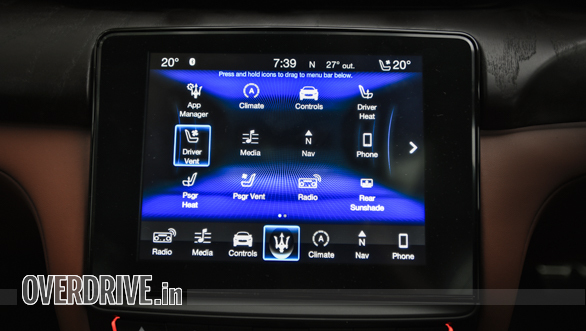 The Quattroporte has three drive modes - Normal, Sport and I.C.E (Increased efficiency and control). Normal and I.C.E, as the name suggests, dulls throttle response and primes the gearbox to shift up quickly to improve efficiency. These modes make driving in congested traffic feel easy and relaxed. The Sport mode, on the other hand, turns everything up to eleven. Throttle response is sharper and the gearbox is quick to respond to throttle inputs. Enthusiasts, however, should stick to using the aluminium paddle shifts for an involving experience. The quad exhausts let out a bass-y note in this mode that quickly changes to a gruff sound when you step on the throttle. It easily is the best sounding diesel car in the market. 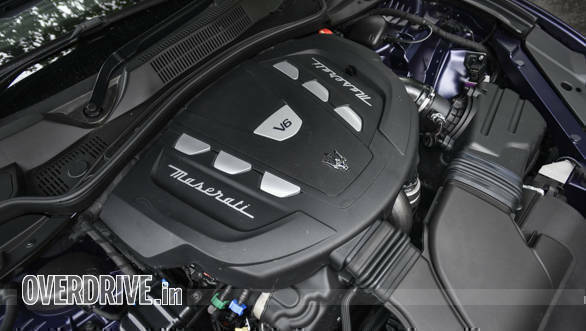 While we could not test the car, Maserati claims a 0-100kmph time of 6.4s which is quick for a near two-tonne car. The Brembo brakes feel sharp and progressive and go a long way in boosting confidence. 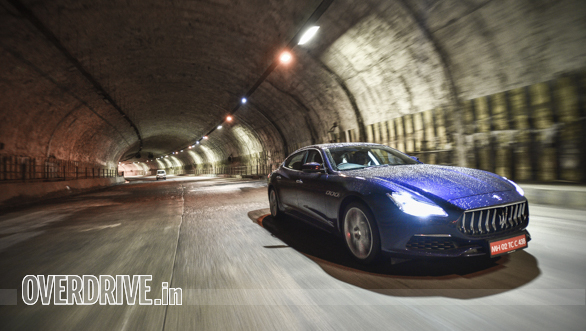 Maserati calls the Quattroporte a sports sedan and it certainly handles like one. The chassis, first of all, is taut and the steering wheel, though electrically assisted, is sharp and communicative. What also helps is the 50:50 weight distribution. 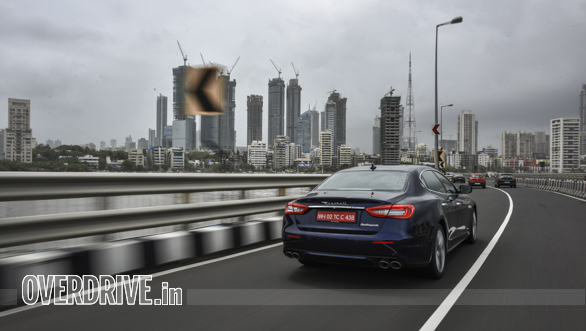 Slot the Skyhook adaptive dampers in Sport to firm up the suspension and the Quattroporte goes around corners beautifully. Turn in is precise and there's so much grip that you'd be astonished to see the corner speeds that the car manages, without breaking a sweat. Change of direction is also pretty fast for a car with a 3,171mm wheelbase. But what I really liked is that even in Sport mode, the suspension filtered out bumps and undulations from the cabin quite well. In the city, with the suspension set in the normal mode, the soft setup does a good job of soaking up potholes and ruts. That said, the setup is too soft over undulations and driving at speed over them causes the car to bounce and wallow. have the kind of equipment as its German competitors but it oozes charisma and character. For that and the exclusivity of a Maserati, the Rs 1.8crore ex-showroom price is something many won't mind.